Biblical teaching in earlier parts of the Bible…are developed and enlarged in later revelation …. In some instances, God reveals His truth progressively [emphasis added]. Often, the first word is not the complete story. Later revelation gives us the fullest picture, the most complete characterization. Consequently, “where earlier revelation has progressively prepared the way for later formulation of God’s truth, we must give priority to the later [emphasis added].” Put simply, the final word is the last word. 1. ￪ William W. Klein, Craig L. Blomberg, and Robert L. Hubbard, Introduction to Biblical Interpretation, 3rd Ed. (Grand Rapids, Michigan: Zondervan, 2017), 264. 1. ￪ In this article the term hermeneutics refers to those principles one employs when interpreting and applying a text. Exegesis is the process of applying hermeneutical principles to properly read meaning out of a text. Eisegesis is the hermeneutical sin of reading meaning into a text. I highly recommend Greg Koukl’s Stand to Reason ministry and radio program. Greg and I don’t agree on a number of theological issues, but I greatly respect and appreciate his passion for teaching Christians the importance of careful thinking. As he’s been known to say, “Emotions are what make life delicious, careful thinking is what makes life safe.” Unfortunately, however, as is certainly the case with every generally careful thinker, Greg thinks less carefully about some issues than he does others. So the point here is, I see in, say the teaching of annihilationism…the hallmarks of spiritual warfare. 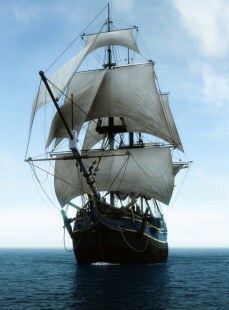 That is, I see an idea now, that if taken seriously, takes the wind out of the sails of the Great Commission. It makes the gospel seem less important, or less urgent. Now who would have an interest in making the gospel less important or less urgent? Not Jesus. The devil. When I notice a doctrine coming in from the side that doesn’t seem to be consistent with classical Christian teaching and which doctrine seems to have the impact of taking some of the force out of the Great Commission, I immediately know that this is an example of spiritual warfare, and I need to resist it. Annihilationism is false, then, according to Koukl, because it makes the gospel less important, less urgent, thus taking the “wind out of the sails” of the Great Commission. Let us examine this claim, and see if it is a compelling reason to reject conditional immortality.